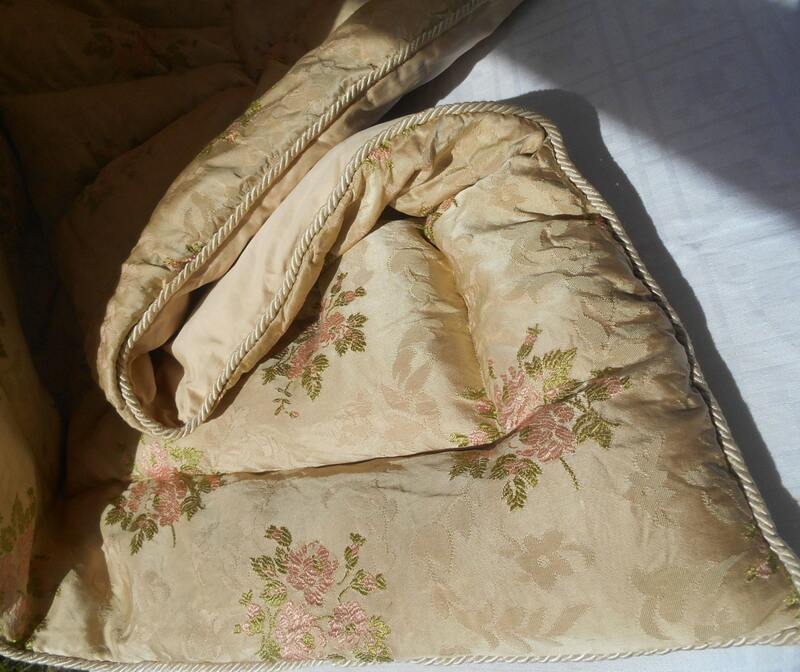 Gorgeous French Brocade Bedspread. 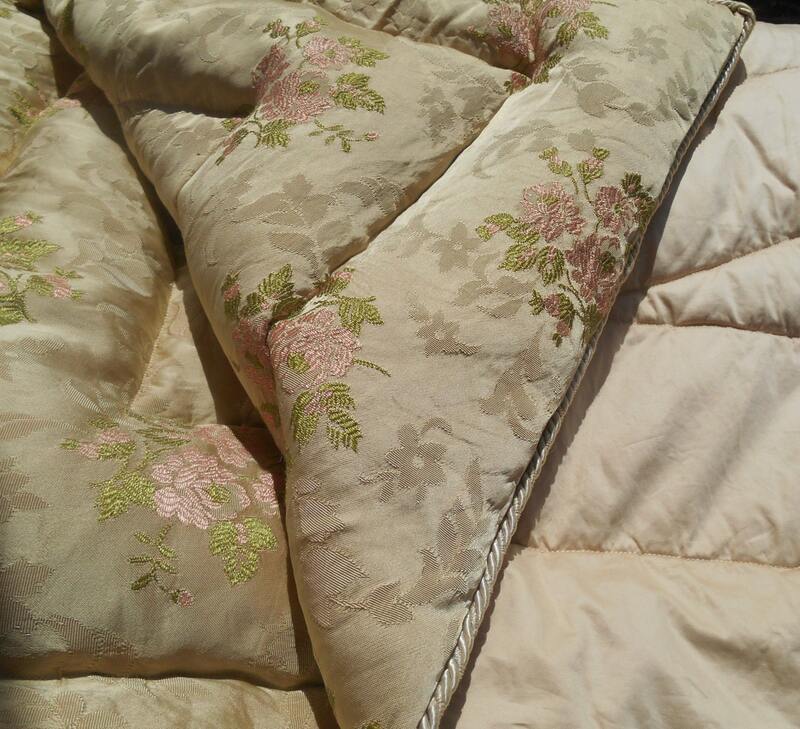 Beige gold coverlet throw with pink roses. Puffing blanket. 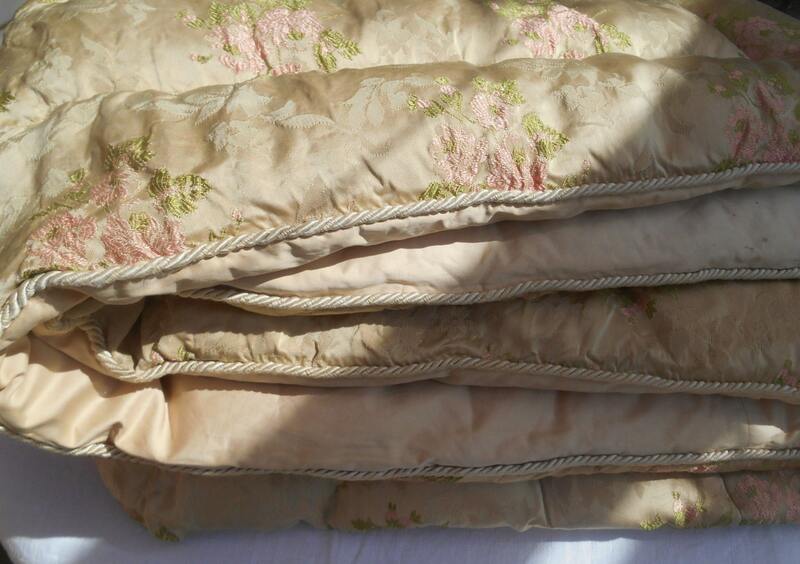 Made of silk blended with cotton. Washed . 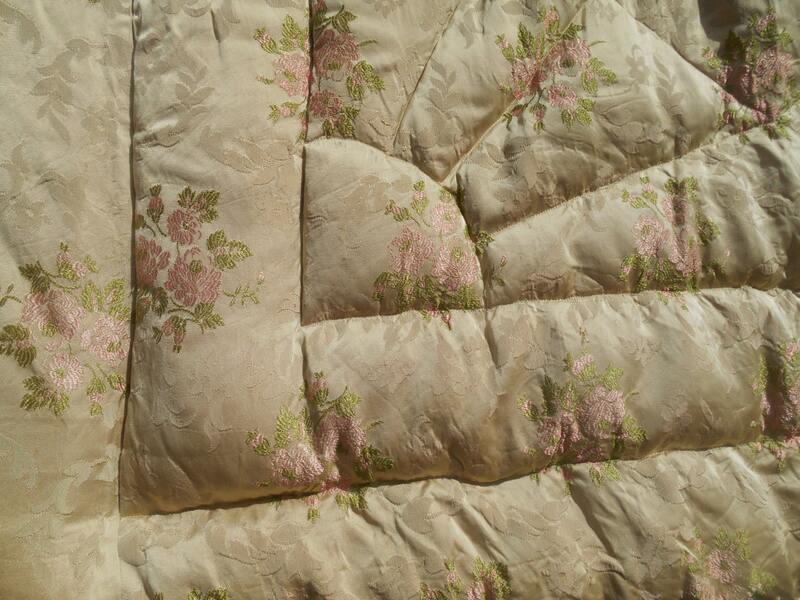 Rather in a good vintage condition with two small run holes and a few tiny spots on the reverse. Thick and quite heavy, average of 1.4 kg = 3 lbs. 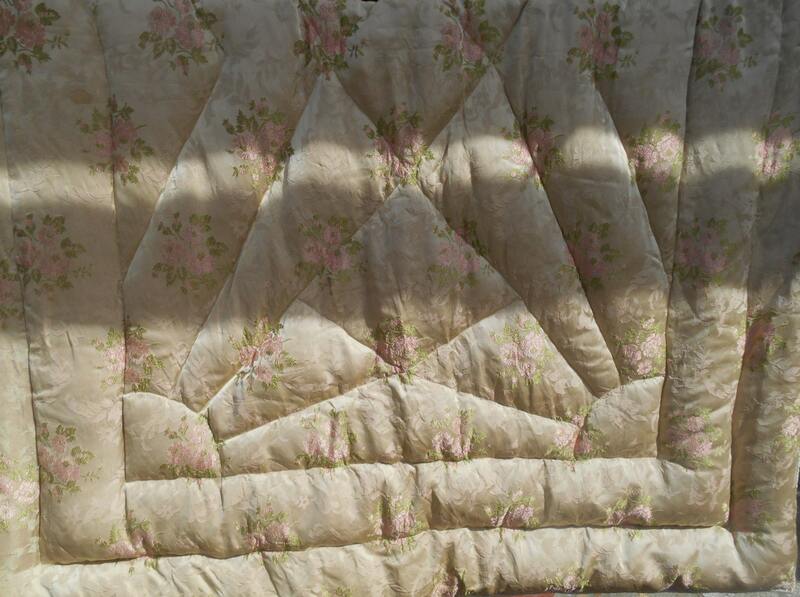 Awesome Romantic Roses French "Coutepointe" Blanket !